A recent study linked consumption of fatty fish to delayed puberty in girls and intake of red meat to early onset of periods. University of Michigan researchers evaluated six years of data on 456 girls aged 5 and 12 years engaged in the School of Bogotá children cohorts in Colombia and found that girls who ate red meat began their periods earlier than those who did not , while those who consumed fatty fish their menstrual cycles began much later. Here they are other causes of puberty you should know. The results of the study revealed that red meat consumption ranged from less than four times a week or twice a day and girls who ate the most red meat had her first menstrual cycle at a median age of 12 years and 3 months. However, those who ate less red meat had their first period at 12 years and 8 months. also showed that girls who ate fatty fish like salmon, mackerel and sardines at least once a week experienced their first menstrual cycle significantly later than those who ate a once a month. 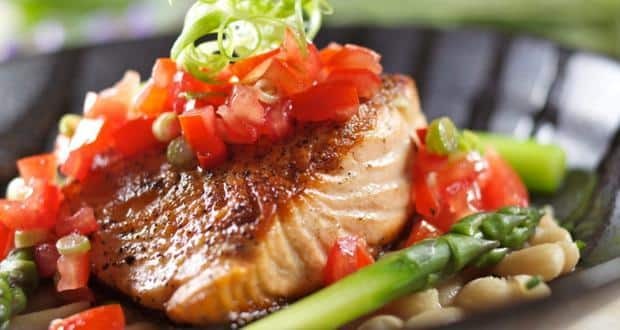 The researchers found that girls who ate fatty fish more often had their first menstrual period at 12 years and 6 months. The researchers said the findings are important because early puberty in girls has been linked to breast cancer, type 2 diabetes, heart disease and obesity. Here are six reasons Salmon is good for you . Study author Erica Jansen said that is an important distinction because it is associated with the risk of disease later in life and because some dietary factors are known to affect the timing of puberty. This finding may also help explain why red meat intake early in life is associated with an increased risk of breast cancer in the future. « Good cholesterol may also be bad for you!